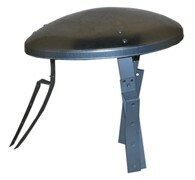 For Camping, on the Beach in Sheds, Caravans, Boats, Summer Houses, Bell Tents, outdoor Offices etc! Want to send to Europe? Please contact us for a quote. The Pipsqueak is a mini wood burning stove suitable for bell tents, sheds, caravans, summer houses, vans, camping or simply to pack up and take to the beach with you, the list is endless! Made from solid cast iron and available in an array of colours the stove not only heats up a whole room but looks amazing as well. 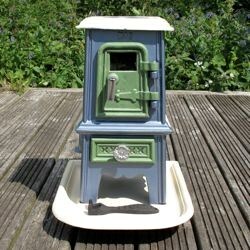 The stove is mini and therefore easy to carry and perfect for heating up small places from your outdoor office or work space to, shepherd huts and canal boats. If you would like to add a splash of colour to your Pipsqueak simply choose either one colour or two from the drop down list available for a small extra charge. 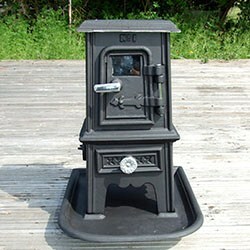 These miniature stoves give off 3kw of heat and can burn wood, coal or solid fuels. 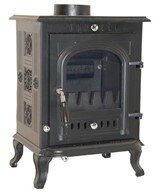 These stoves require a rear exit flue which we sell separately. 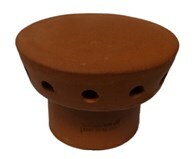 The Pipsqueak is ideal for bell tents when used with a flue and flashing kit to keep you warm whilst camping. Please Note: The Pipsqueak has not been approved for use inside the home. 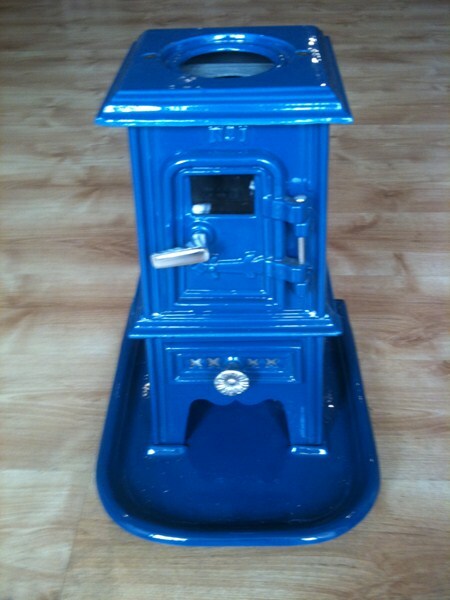 This isn't because it would not pass the tests, but simply because of the small numbers of stoves made, and the low selling cost it does not justify the large outlay for product testing and approval. We recommend using a Carbon Monoxide Alarm in any room that has any solid fuel heater in it. 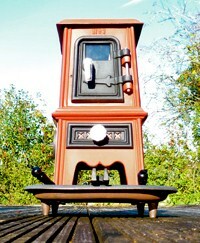 There are no reviews for Pipsqueak Mini Wood Burning Bell Tent Stove.